View of morning city with the boats at embankment of Moyka River. 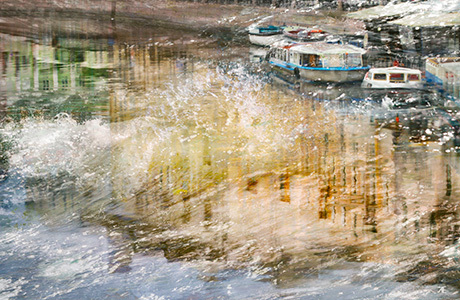 Art print from series of "City of Splashing Water". Fine art print for living room decor.